Each spring a variety of annual prizes and fellowships are awarded from within the University of Pittsburgh and beyond. It will come as no surprise that many music department graduate students were recognized for their creative and intellectual contributions. 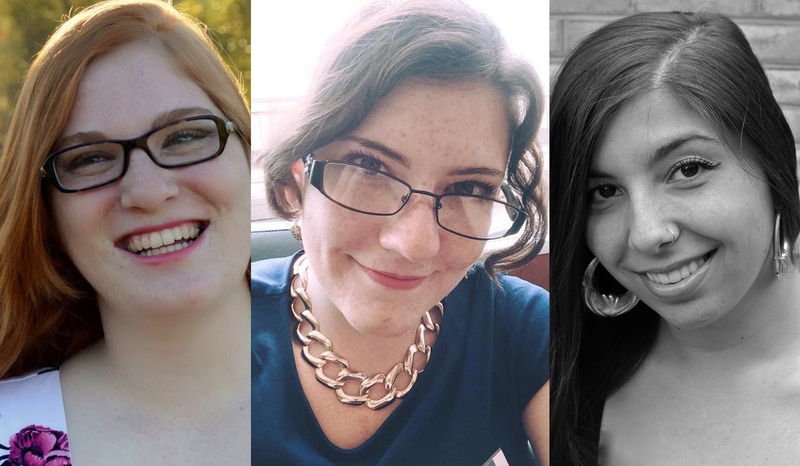 The Dietrich School awarded Andrew W. Mellon Fellowships to three Department of Music graduate students: Danielle Maggio (ethnomusicology), Laura Schwartz (composition and theory), and Julie Van Gyzen (musicology). Each recipient will utilize her award to cover a year of dissertation research. Maggio’s dissertation topic is titled Reissued Soul: Uncovering the Hidden History of Women Soul Singers Through Independent Record Labels. Schwartz will research Cultivating the Self in Pauline Oliveros’s and Jennifer Walshe’s Verbally Notated Music and produce an original composition titled An Anatomical Study on Escape. Van Gyzen’s research will explore “L’art n’a pas de patrie?”: Musical Production and Resistance in Nazi-Occupied Paris, 1940-1944. Congratulations to all three Mellon Fellows! Along with Dietrich School-wide awards, the music department made awards for musicology and composition. Xinyang Wang is the winner of the seventh annual Dead Elf Music Award for an outstanding composition by a University of Pittsburgh graduate student. Department of Music graduate students make an impression outside the Dietrich School as well. Juan Velasquez (PhD 2018) was selected as a recipient of the 2018 Cole Blaiser Award for outstanding service to the Center for Latin American Studies and for demonstrating excellence in the pursuit of Latin American studies. Finally, composition and theory doctoral candidate Ryan McMasters has gained significant recognition outside of the University. McMasters received a Public Humanities Fellowship for the summer to work with the Pittsburgh Parks Conservancy. He will focus on helping the PPC launch its performing arts programming and education while extending his research on data-driven sound installations and the use of open source technologies in music technology. Please join us in congratulating all our awardees for the strength and diversity of their creative and scholarly pursuits!